PRODUCTS — Hester Fabrication, Inc.
Hester Fabrication specializes in custom engineered and manufactured systems, and occasionally these products can help a wider range of industrial clients. From those projects come our product line. While these products are standardized, we're always open to customizing them to fit your needs more effectively. Please feel free to contact us with any custom inquiries. Hester Fabrication threw out old school tool box manufacturing convention and went back to the drawing board. We wanted to make something totally different from what we found on the market. Something robust, something built to last, something your tools would be proud to call home. With the thinnest piece of metal coming in at 12 gauge (.1046”) our boxes are built to replace the competitions weaker 18 and 20 gauge boxes. 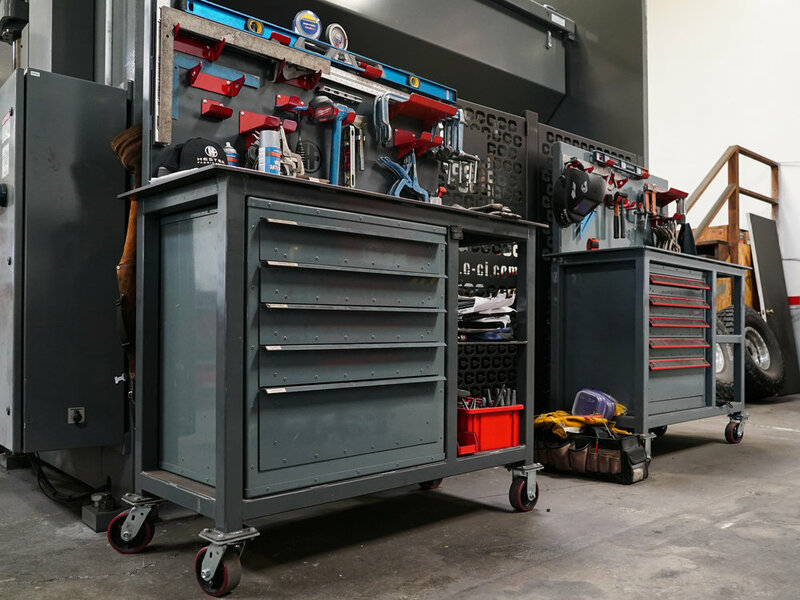 With our drawer ball bearing slides supporting upwards of 450lbs, our innovative steel tube chassis, and modular system, this box is literally built to hold up the competition, while you get the job done. Contact us at info@hesterfabrication.com for more details. We want your safe to fit you - your needs, your style, and most importantly, your gun collection. Ordering a custom safe from Hester Fabrication doesn't mean you just pick out the dimensions. Collaborate directly with our engineering and detailing team to create a one-of-a-kind safe that looks and functions exactly how you want it to; without compromising a thought of security.